In May of 1984, Parker Tobacco Company, a family owned business, founded in 1932, purchased the 1 million square foot complex, formerally owned and operated by Brown & Williamson Tobacco Company, for the storage of its processed tobacco. In 1985, due to the changing nature of the tobacco industry, Parker Tobacco Company's corporate strategy focused on efforts to diversify the warehouse complex from single use to multi-use. To accomplish this strategy, the warehousing portion of the business began operations as Parker Tobacco Company dba Parker Commercial Storage and Distribution. During 1985, the major efforts of management centered around filling as much warehouse space as possible, with long term tenants. The Company's ability to offer space at below market rates enabled them to attract numerous customers. 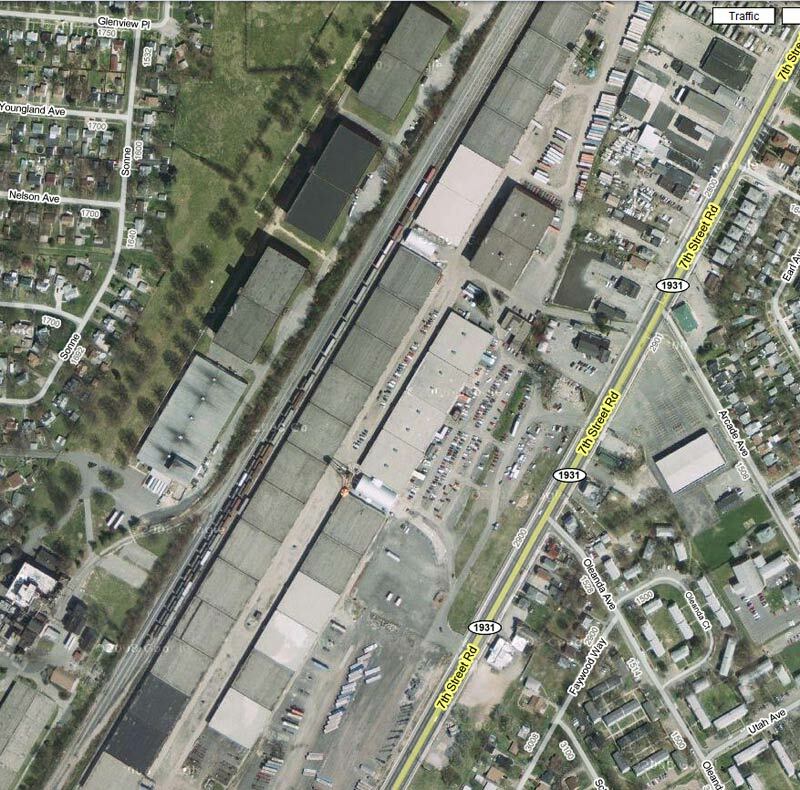 During this same period, the company was awarded the contract for the U.S. Customs Examination Station for Louisville. In 1991, the operating management of Parker Commercial Storage and Distribution purcahsed the property and business from Parker Tobacco Comnpany. From the initial contract with U.S. Customs, the Company has developed an excellent track record and reputation. The Company maintains its bonded warehouse facility, the U.S. Customs Examination Station, a consolidated freight station, export packing services, cross docking, fulfillment and log loading are just a few of Parker's specialities. Warehousing and distribution as a third party logistics coordinator constitutes 80 percent of the total operation. 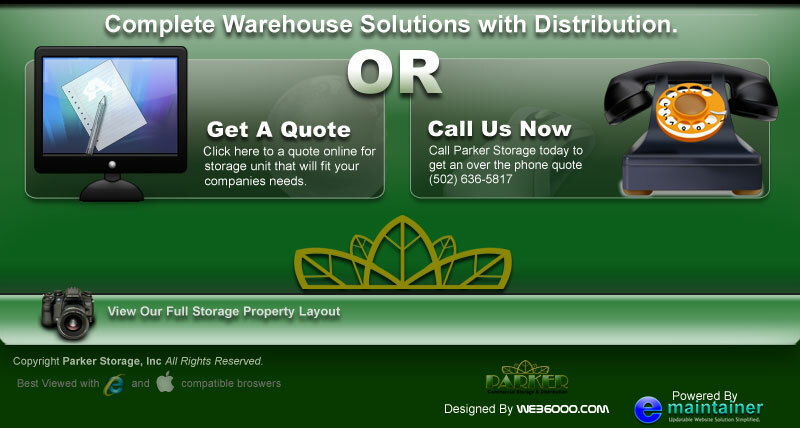 Parker Commercial Storage & Distribution has been able to cultivate a reputation as a provider of medium to low cost warehouse space and high quality handling and distribution services. The Company is geographically positioned to take advantage of the opportunities presented by the southern migration of business currently occurring in the United States. The Company's location provides a relative low wage rate, a well trained work force, relatively low utility and tax rates and an expanding customer base. The company has a mix of both long term and short term tenants. The Company has been able to successfully develop relationships with manufacturing firms and third party vendors. The Company believes the primary contributor to its increasing revenue base will be strong growth in the out-sourcing of warehouse services. The major forces behind this out-sourcing include cost savings to companies from reduced employee and inventory carrying costs, increased flexibility in production scheduling, the expanding import/export industry, Parker's direct rail access with the capacity to hold up to sixty rail cars, and decreased transportion costs due to 80% of the U.S. population is only an eight hour drive from the Parker facility. As the utilization of just-in-time inventory control continues to drive inventory carrying decisions, the demand for outside warehousing services is expected to continue. Although employment practices are contrary to industry standards, more and more warehousemen are moving to the use of temporary employees, the management of Parker believes higher quality can be achieved through the use of a stable and permanent work force. 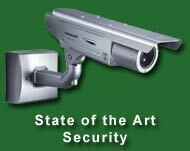 The Company maintains this work force through payment of industry comparable wages and an attractive benefit package. The Company has developed a level of employee stability unmatched in the industry. The Company is centrally located, with 80% of the U.S. population being only an eight hour drive. Parker is located 5 minutes from the Louisville Interntaional Airport and the UPS hub. Parker is centrally located with driving distances approximately 1-½ miles from I-264 and approximately 5 miles from I-65. Access to Parker from these major interstates has been greatly enhanced by the completion of the widening of Seventh Street from two lanes to five lanes. The completion of the Ninth Street Corridor offers four lanes directly from I-64 to Seventh Street Road. The new extension of the Central Avenue corridor permits easy access from Crittenden Drive, which connects directly to I-264 and I-65. Since its inception, the Company has been able to cultivate a reputation for service and quality of work. Based on this reputation of high quality and low cost, and in the face of minimal marketing efforts, the company belives a company is only as good as the people who make the company. The overall capacity of the Company's 1,000,000 square feet, places it in the top 20% (by size) of all warehouses in the Southeast. This capacity coupled with 39 acres of outside space and the long length of the buildings, provides the Company with the ability to store for long or short periods of time, excess railroad cars, trucks, trailers, flatbeds and containers. Our Motto: We will try anything once . Our Ingredients: Thinking power, time, effort, and great employees!